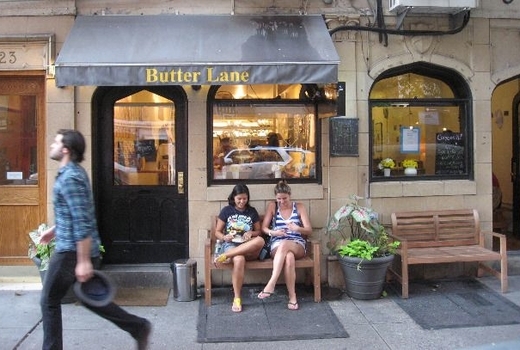 Featured on Food Network's The Best Thing I Ever Ate as Ted Allen's favorite treat, Butter Lane is a beloved NYC institution offering the most unforgettable cupcakes you've ever had, made with all-organic ingredients, a dash of ingenuity and a whole lot of love. Grab this $35 pulse (a $50 value) for a Dozen Cupcakes, and take your pick from over 30 different cupcake-flavor combinations, such as Banana-Peanut Butter, Chocolate-Raspberry, Chocolate Chip Cookie Dough, Vanilla-Blueberry, and so many more. Alternatively, the $45 pulse (a $75 value) gives you a Ticket For ONE to A 2 Hour Cupcakes 101 Class during which you’ll learn to make 3 cakes and 3 icings for 9 total combinations. 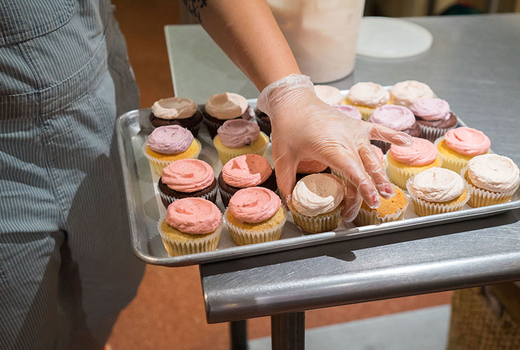 After each class you'll get to take home 6 cupcakes and Butter Lane's prized recipes so you can always make the best cupcakes in NYC, at home. 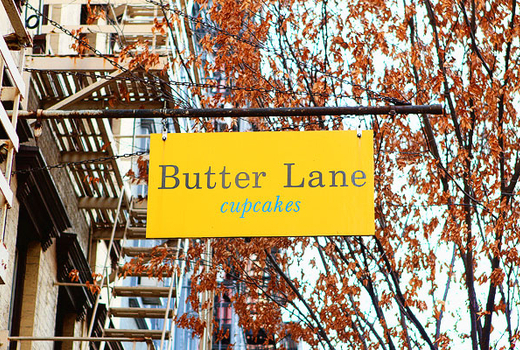 With over 1,100 rave reviews on Yelp, Butter Lane is a much adored bakery with a simple mission: to create the perfect cupcake. To do so, the bakery uses only natural ingredients like vanilla beans, organic butter, fresh fruit and pure cocoa - and never adds any additives or artificial flavors to any of its products. 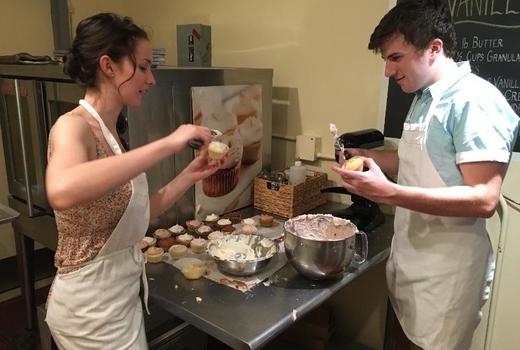 Budding bakers can enroll in Butter Lane's lighthearted Cupcake 101 class to learn all you need to know about creating world-class cupcakes. Class sizes are small, which means every student is ensured one-on-one attention from the talented instructors. You'll whip the batter using the professional mixer, choose your own cake & frosting combinations, and decorate using Butter Lane's signature swirl technique. Classes are offered 7 days a week. Full class schedule here. "My wife liked her creation with peanut butter frosting. I can't lie, my banana flavored cupcake was off the chain." "Best cupcakes in NYC! Not too big. Not too small. Light and fluffy cake. Rich and creamy frosting." 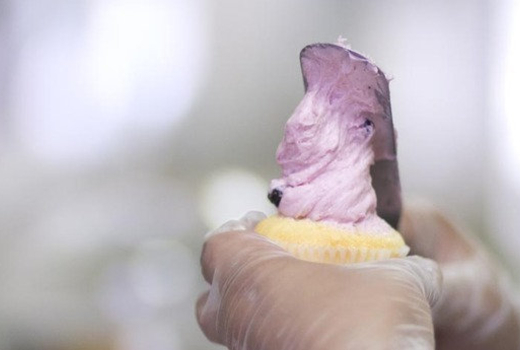 "The Executive pastry Chef teaches really fun cupcake classes. Light atmosphere, informative class, and very fun! A+ oh, and their cupcake recipes are delicious!!" 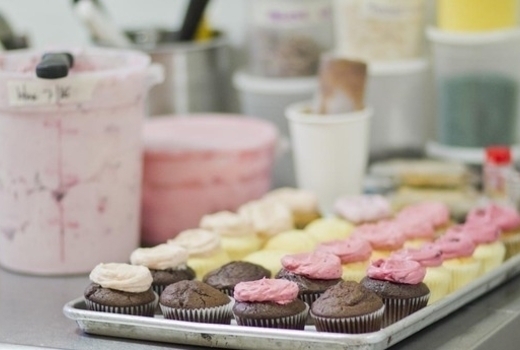 "The best cupcake place ever - hands down. Perfect frosting to cake ratio, really moist, and not too sweet. The flavor options are incredible too...its hard to choose a favorite because they're all amazing. Really enjoyed their cupcake making class too!" May purchase as many vouchers as you like for personal use or for gifting. Expires on Friday June 21, 2019.